There is nothing worse than getting back to your student home absolutely starving after a long day at University, and discovering you forgot to defrost that chicken, or your pasta is out of date. Every once in a while students need to go somewhere where they can relax, be cooked for, and eat something that isn’t stale beans on toast! Eating out is a necessity and Exeter is crammed full of exciting and quirky restaurants and cafes. 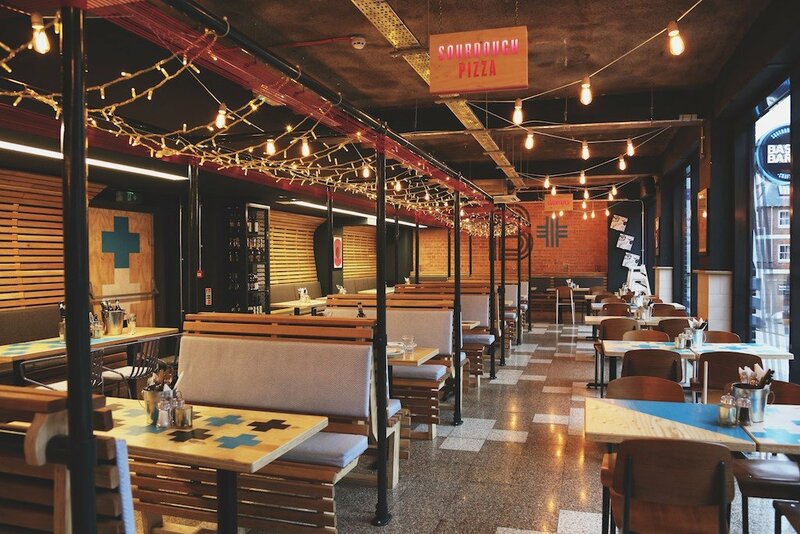 From pizza houses to bistro pubs overlooking the water, Exeter really does have it all and most of them come with great student prices, so we’ve compiled for you a list of all the best places to eat out in Exeter. 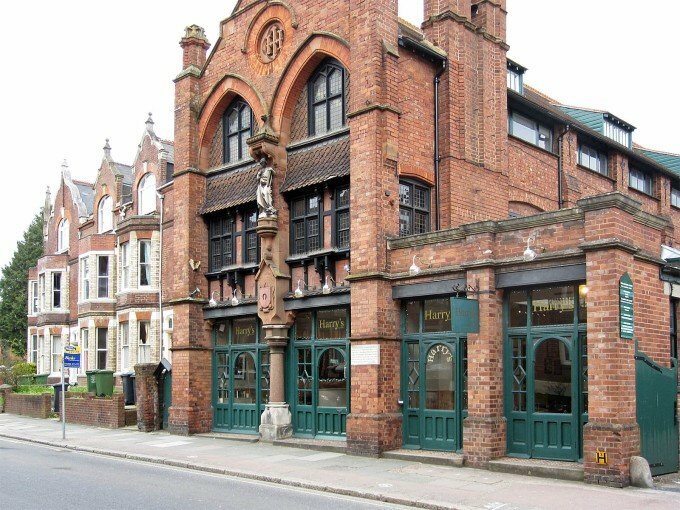 The Old Firehouse is a favourite in Exeter for both the students and the locals alike. With three floors of tables and an outside courtyard, all constantly full and buzzing, this is the best place to go for great atmosphere, cheap drinks and the famous giant, late-night pizza baskets. It has a rustic feel, with two busy bars, regular live music, and it’s rumoured that J.K.Rowling (a former Exeter University student) based Harry Potter’s The Leaky Cauldron on this very place. Click here for their website. 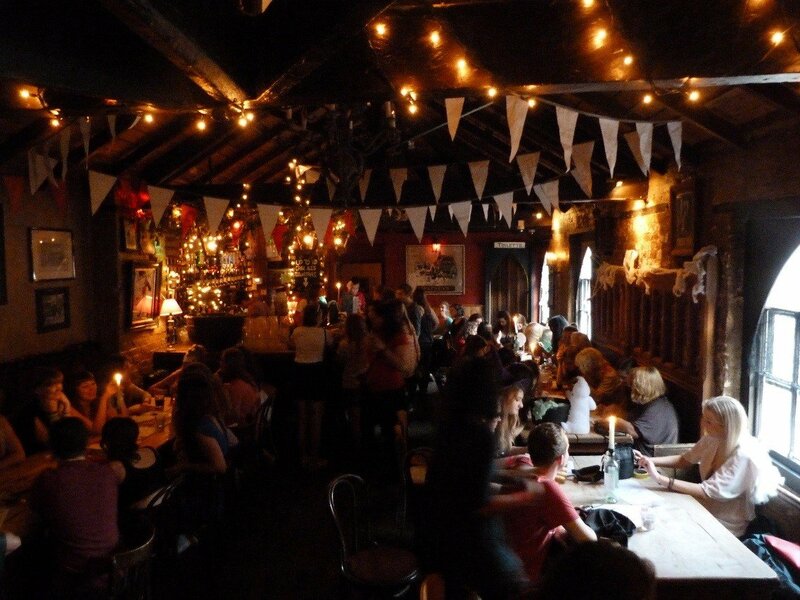 ‘The Impy’ is another favourite for Exeter Students. It is extremely close to campus, on the door step of some of the Halls and in the summer the outside beer garden is heaving with students, basking in the sunshine. The food comes fast, cheap and in big portions and with three different bars inside, you’ll never have to wait long to get a drink. Click here for their website. Situated down at the Exeter Quayside, On the Waterfront is housed on the ground floor of a magnificent 19th century warehouse. Whether you’re going for dinner with friends or planning a society dinner for up to 100 people, On The Waterfront caters for it all, with sharing plates, themed meals, speciality pizzas and an extensive bar, all on the water’s edge. Click here for their website. 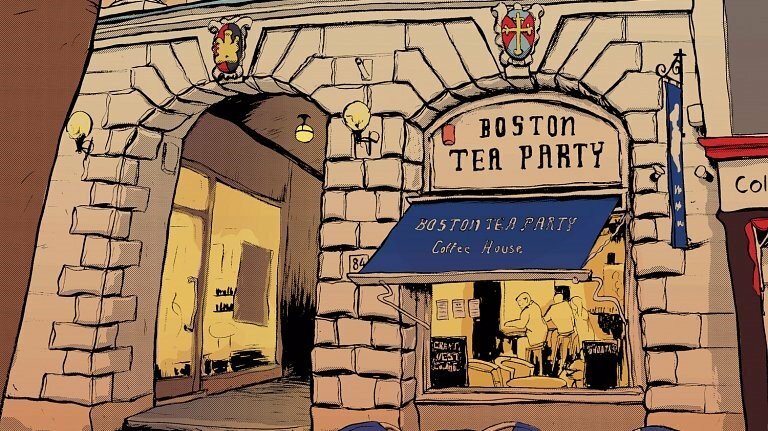 The BTP cafes are only in specific locations around the country and Exeter is proud to be one of them. The huge upstairs dining room is full of character (and people) with its different size tables of different levels with miss-matched chairs. The delicious all day breakfasts are a life saver on a hangover day, as well as their famous smoothies and cakes. BTP is the go-to place for Exeter students on all occasions. Click here for their website. Tea on the Green is another of Exeter’s unique little cafes, situated right on the door step of the Cathedral Green, overlooking Exeter’s incredible Cathedral. The café is clearly owned by someone who cares about local produce and serves breakfast 7 days a week, ranging from marmite toast all the way to a full English, light lunches, cream teas and lots of delicious cakes. 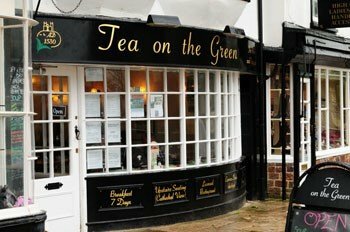 Tea on the Green also boasts the best expresso in town and has plenty of options for people who are gluten free and vegan. Click here for their website. The aim of The Rusty Bike is to reduce the distance from producer to plate. 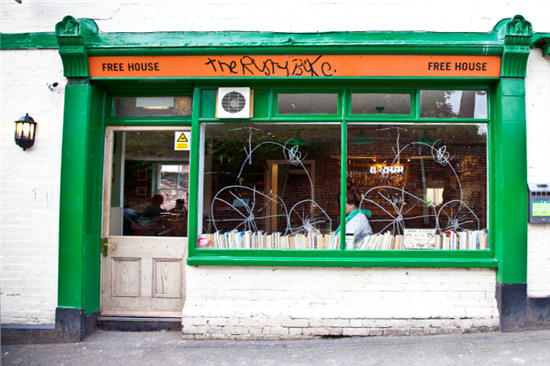 Serving beer from their own brewery, carefully selecting Ruby Red beef at the local Richard Mizzens Farm and foraging from wild garlic to adorn their meals, there is a reason The Rusty Bike has made it into the 2015 Michelin Guide. This pub offers the full range, from delicate smoking and curing, to the full butchery and lives by the motto ‘from welly to belly’ - it is a great and relaxed place that students can go, when they’re in need of a good meal. Click here for their website. 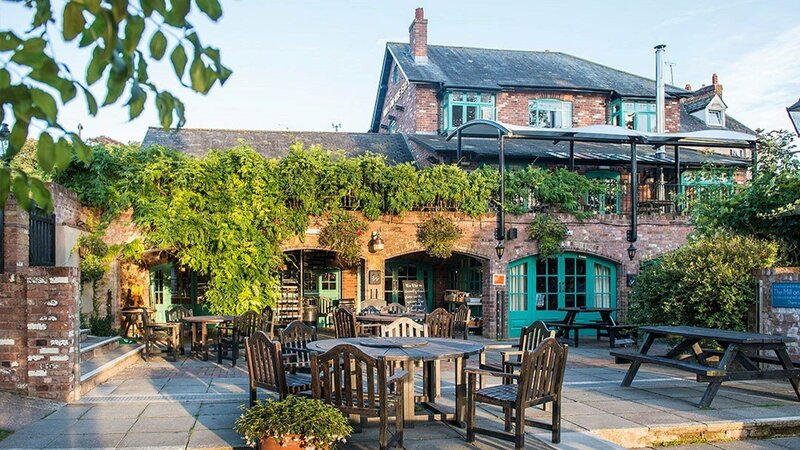 The Mill on the Exe is an amazing pub in a tranquil location. With beautiful waterside gardens next to the Millstone footbridge, it’s easy to forget how close it is to the city centre and local train stations. The pub is a great location for students who want to get away from the busyness of town and enjoy a drink or some food with friends. It specialises in Sunday lunch, serves a great buffet and is open until late. Click here for their website. Situated in the middle of Longbrook Street, Harry’s is an ideal place for students to go for dinner, being just a short walk away from all the student houses. It is a friendly restaurant and a favourite amongst students due to its affordable prices and good quality food. With locally sourced produce, Harry’s has been in Exeter for 20 years and is always busy. The restaurant does take large party bookings so is a great place for group meals and also has a breakfast menu, so students can get their hungover brunch on their doorstep. Click here for their website. Also situated on Longbrook Street, Base and Barley, new to Exeter this year, is a go-to place for all students due to its great prices. Their famous pizzas come on freshly made sourdough bases with all the toppings you could think of and their Base and Barley Brunch includes American pancakes and eggs of every kind. Students should look out for the different deals and discounts that Base and Barley offer throughout the week. Click here for their website. 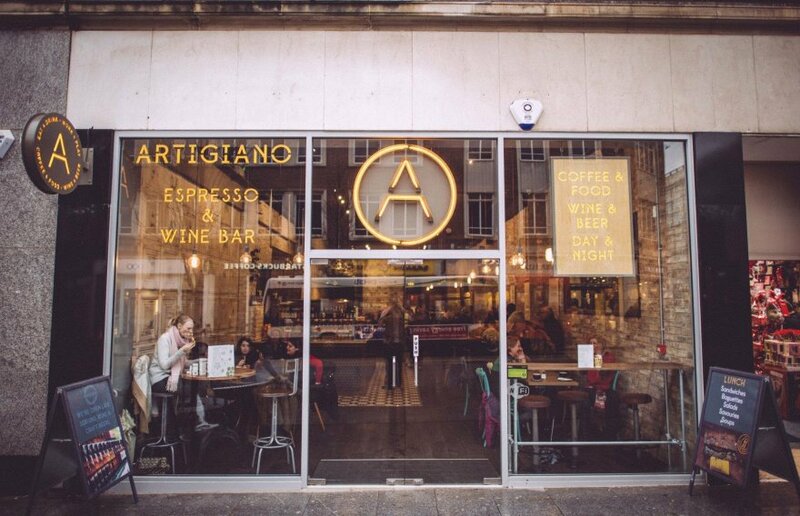 Artigiano prides itself on the fact that it blurs the lines between a café and a bar. Open all hours, from the crack of dawn serving hot coffee and fresh pastries, into the day with its vast food bar, packed with handmade Paninis and fresh salad, and into the evenings with its fresh, hand crafted pizzas, perfect for sharing. The café transforms into a buzzy bar in the evening with craft beers, delicious cocktails and live music, making Artigiano a perfect hang out spot for students, at every hour of the day. Click here for their website. 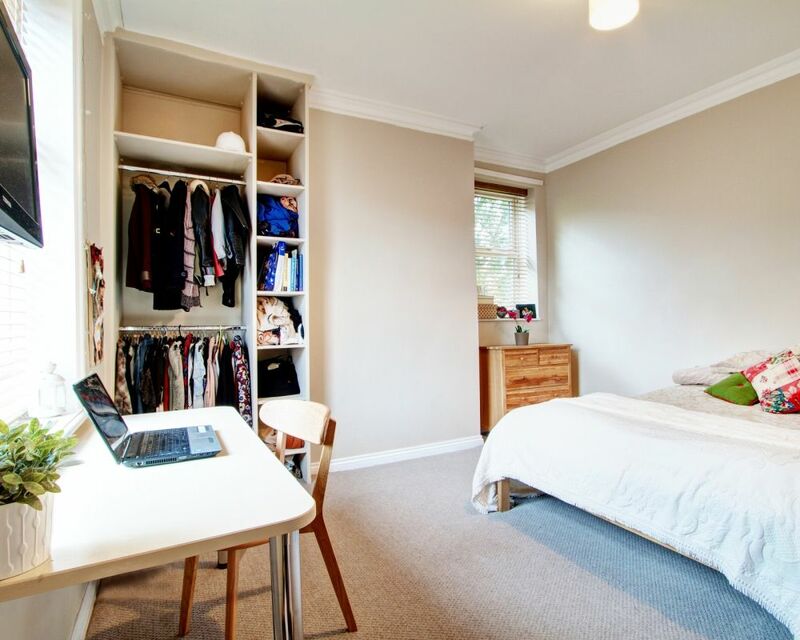 Check out our incredible student houses in Exeter.